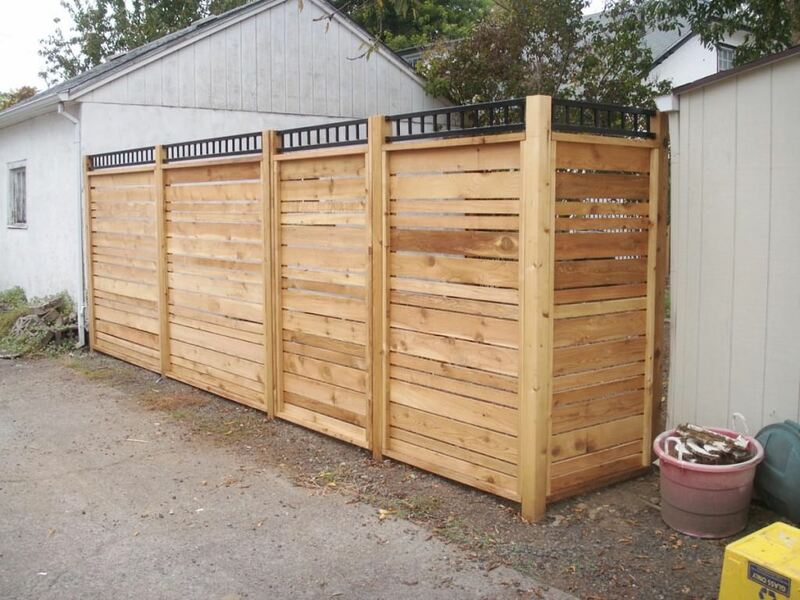 Wood Fences are very appealing in any setting whether it be residential, commercial or agricultural. 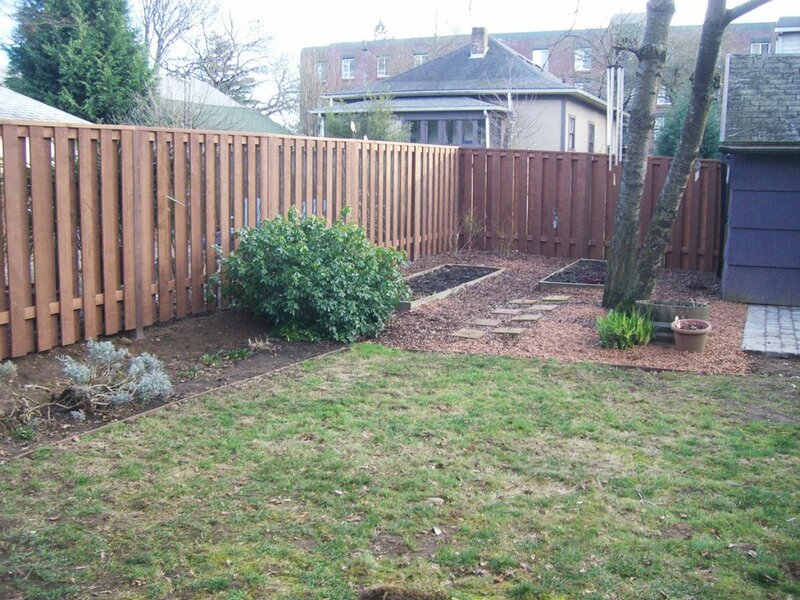 When properly installed wooden fences can be that extra touch that your property needs to truly enhance its look. 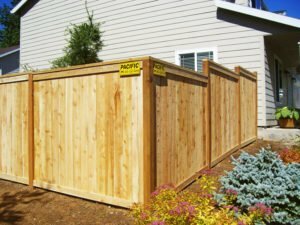 We offer many different wooden fence solutions including privacy fence, good neighbor fence, back yard enclosures, farm railing and more. 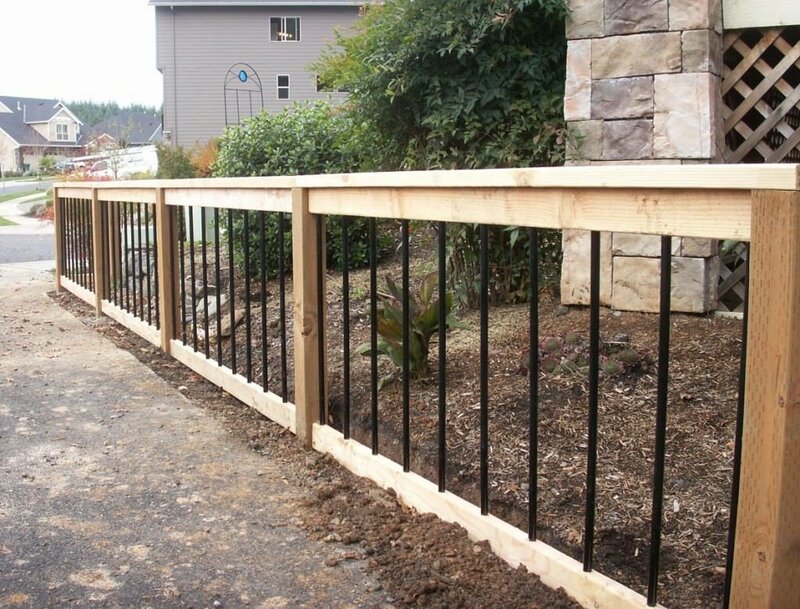 We have been building fences for over 90 years now and that kind of experience is accompanied by expert knowledge and high level craftsmanship. You don’t have to settle for a simple wooden fence anymore. 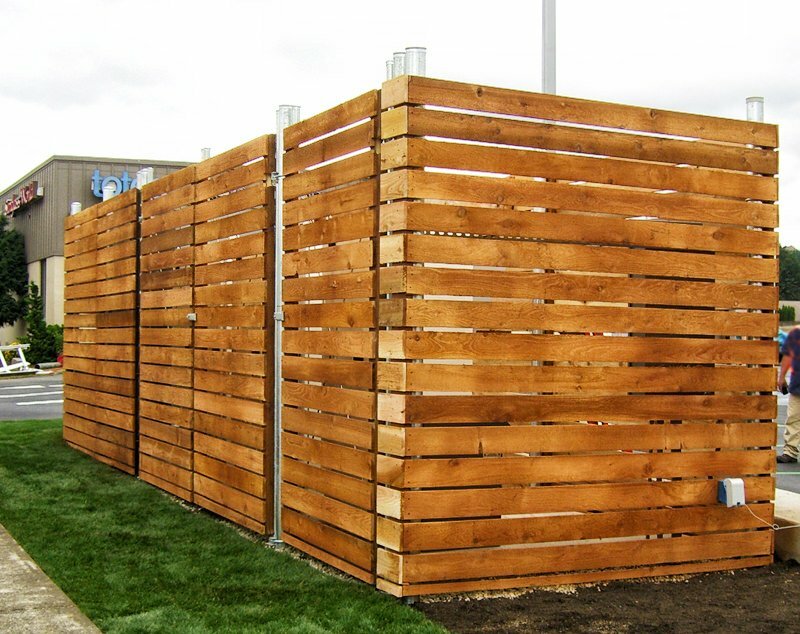 We want to hear your idea and work with you to craft a truly unique enclosure that matches your property and personal taste. 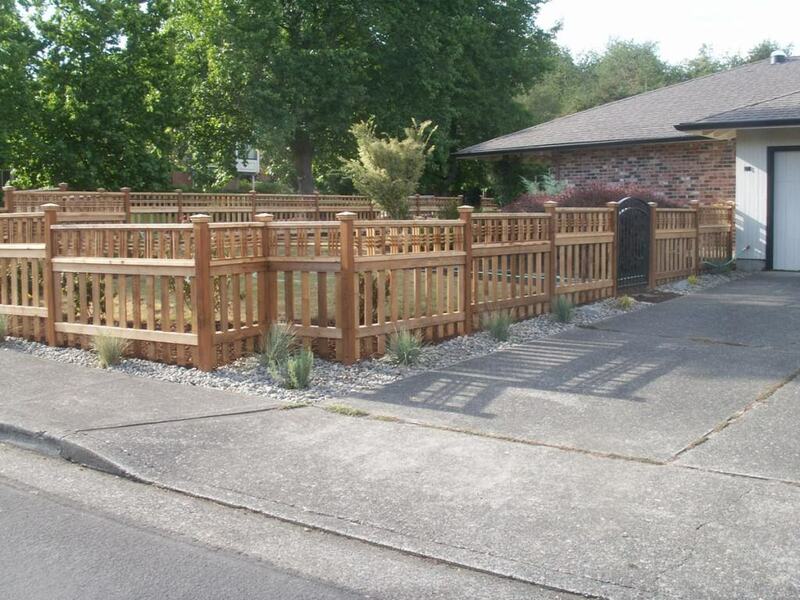 See some of popular styles of fence below or call us to schedule an estimate. 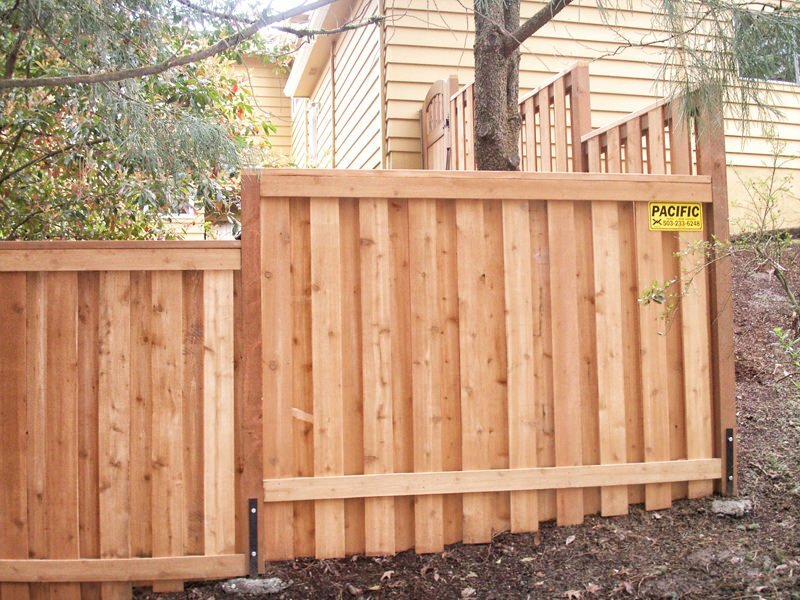 The solid style wooden fence is probably the most common type of wood fence there is. It is typically six feet tall, constructed of cedar and consists of boards stacked side by side with minimal spacing between them. 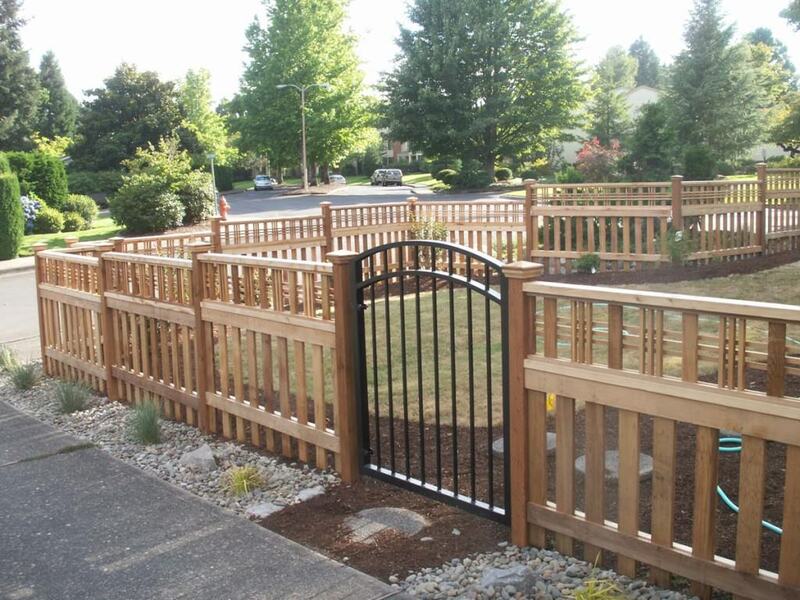 Solid style fence is popular because of its simplicity in design and affordability. 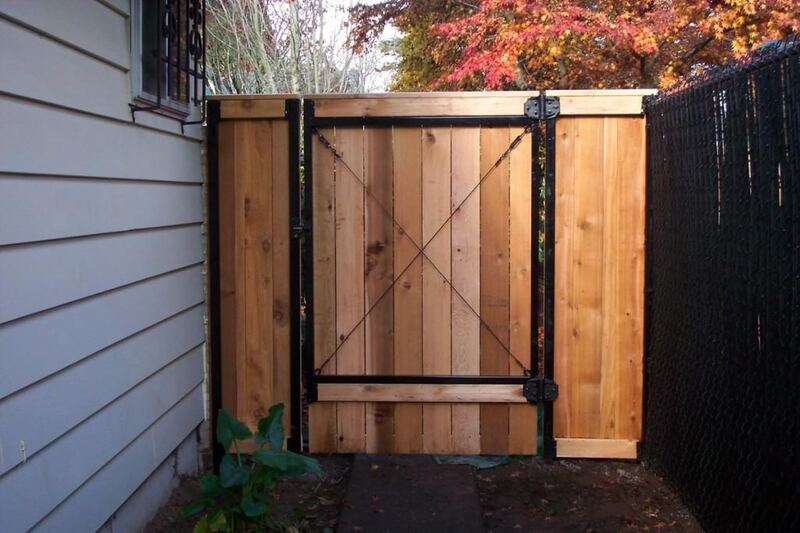 Additionally it provides privacy and security. 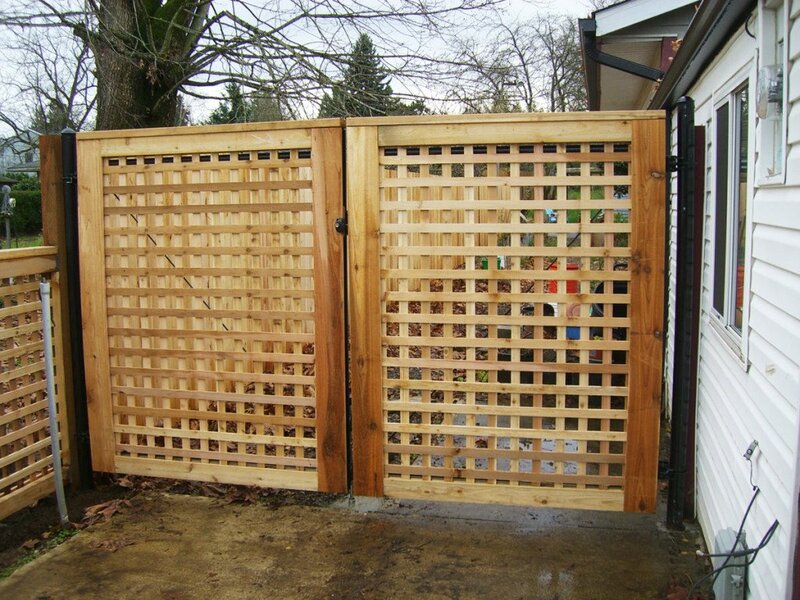 The picture frame style fence is very similar to a solid style fence with the exception of a decorative border along the top and sides. 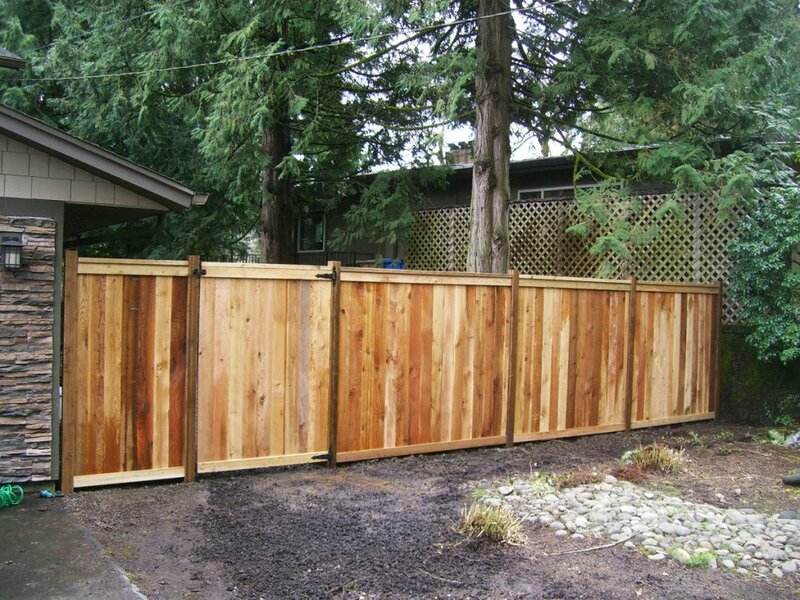 The additional borders give the fence a more complete look and increase the overall aesthetics. 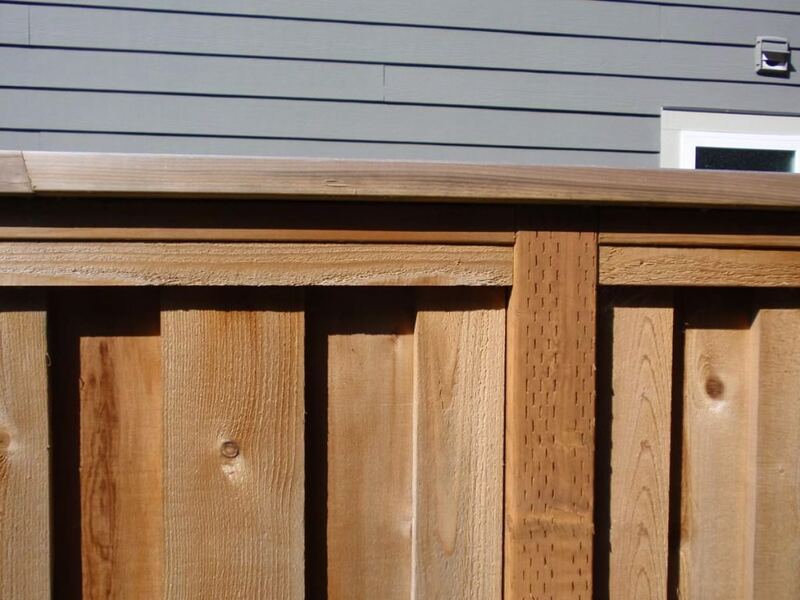 Picture frame fences are great when privacy, security and looks are all equally important. 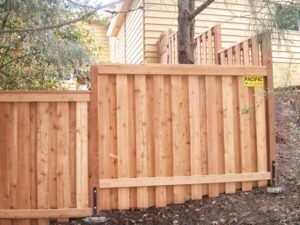 A good neighbor fence is designed in a way that it looks aesthetically similar regardless of which side of the fence you are one - hence the name, good neighbor. 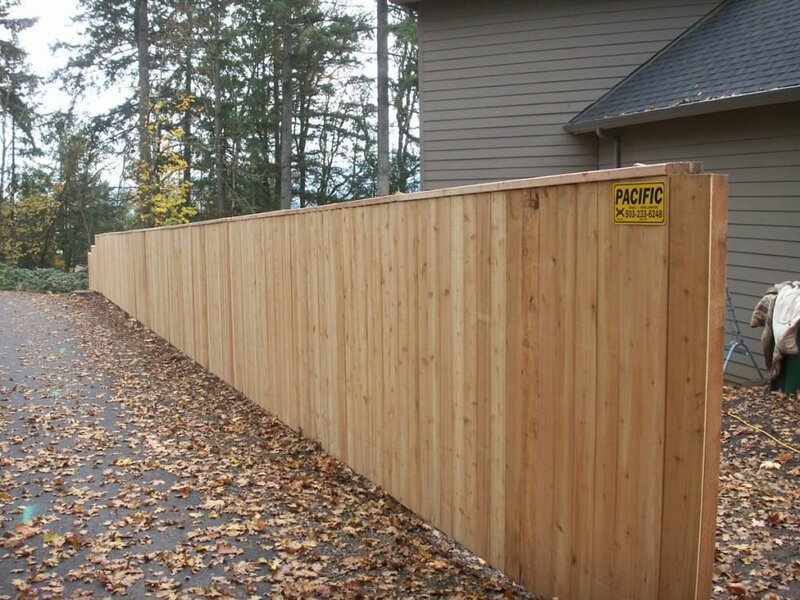 A good neighbor fence can come in a few different styles however one thing is consistent: it will usually look the same on both sides of the fence. 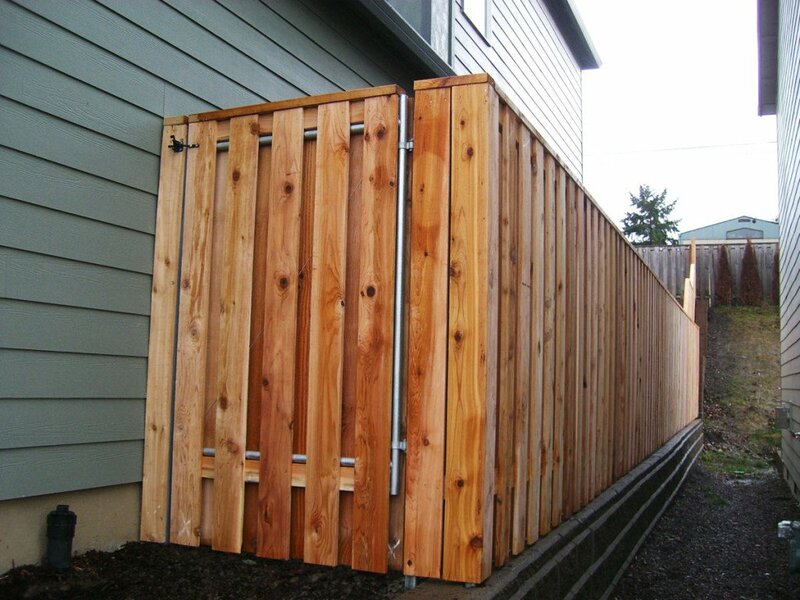 These types of fences are ideal when both neighbors must share a view of the same fence. At Pacific Fence we are happy to work with you and bring your dream fence to reality. 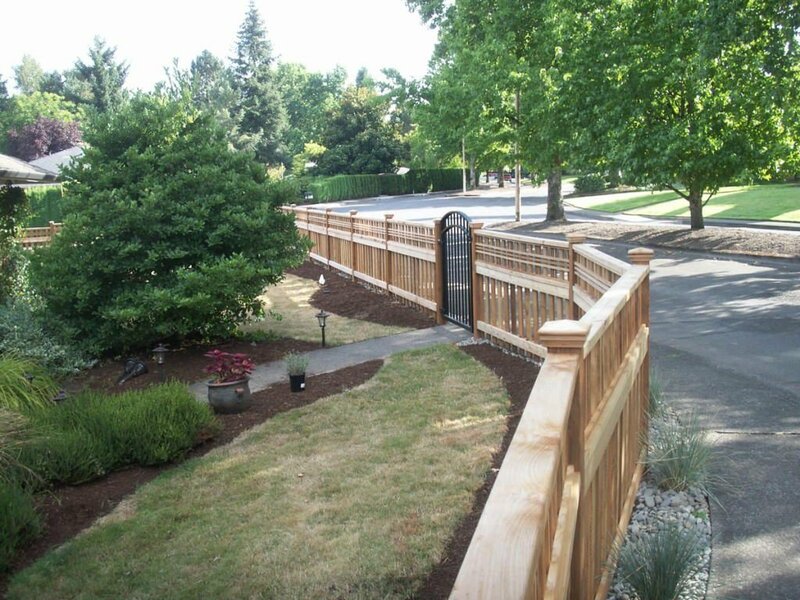 We often work directly with customers on custom fence designs to fit their specific needs. 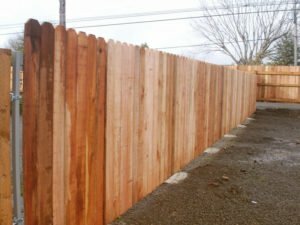 If you have an idea for a fence or want us to come up with something unique we can help out. 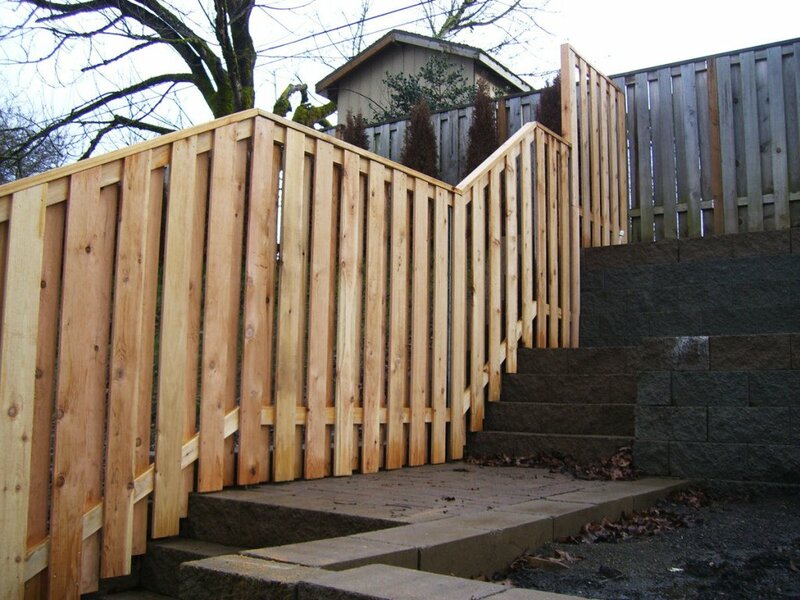 Ready to get started on your project? 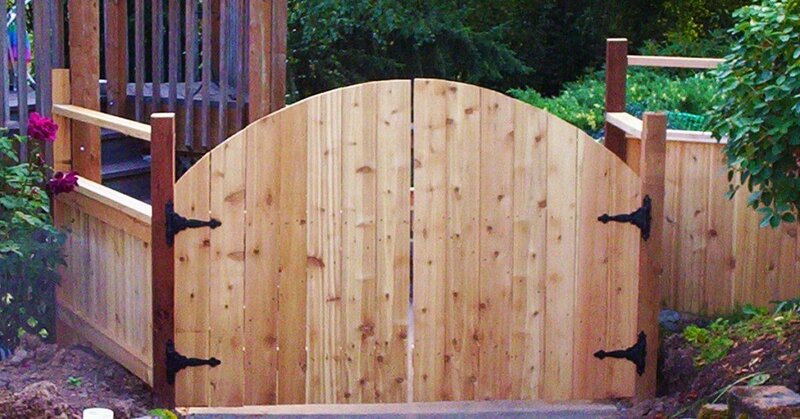 Fill out the form below for a FREE estimate!